Great informative article! I have a pair of microspikes and love em! 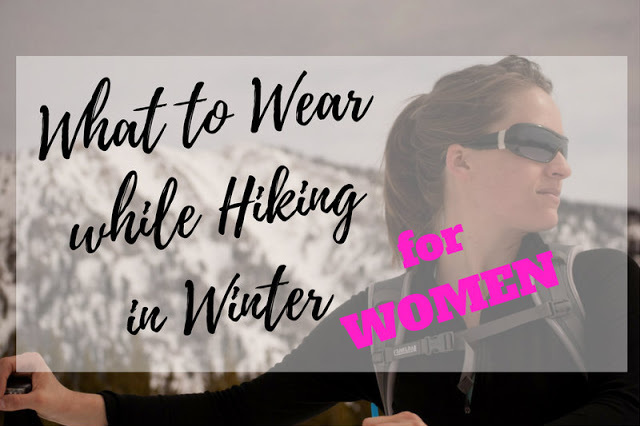 I think (personally) yak traks are more for runners who want to get out and run on the snowy roads with some traction, but for hiking, you really need the microspikes! 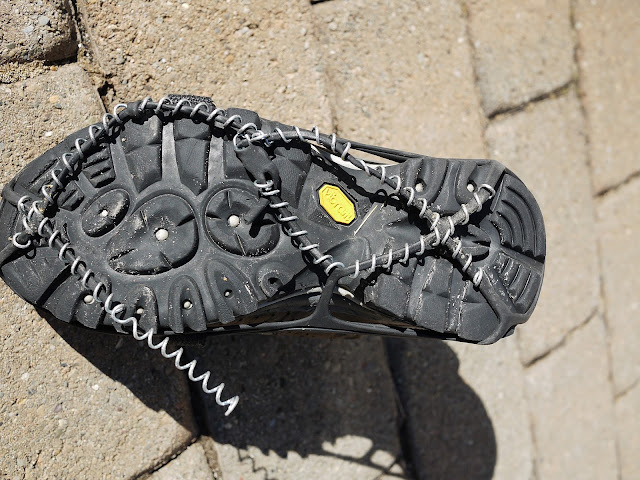 In my experiences, I found Yaktrax to be more than sufficient for walking around on streets and sidewalks that are covered with ice and snow. 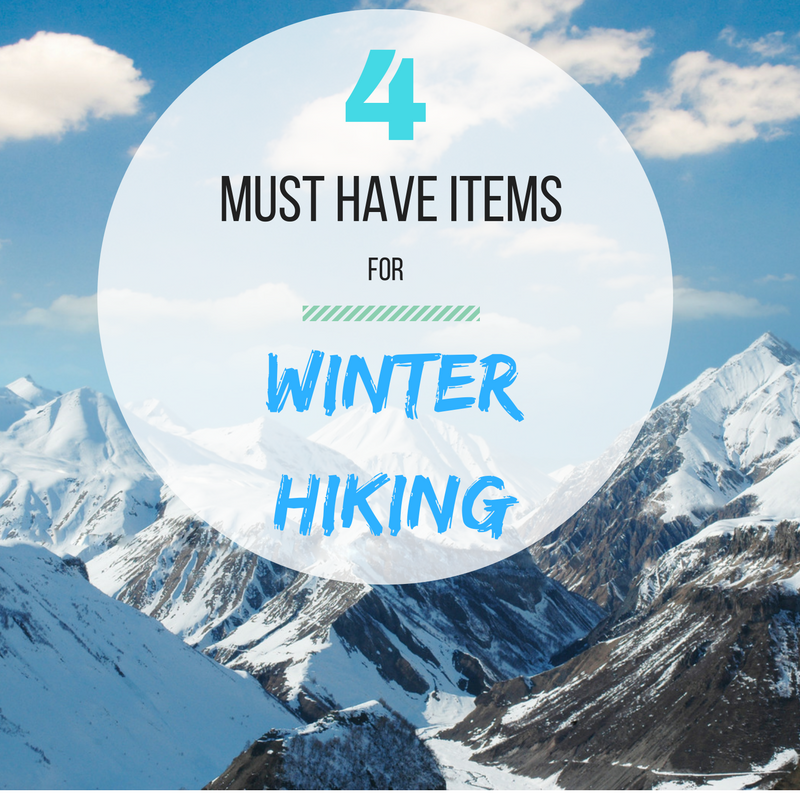 They were even suitable very LIGHT hiking. 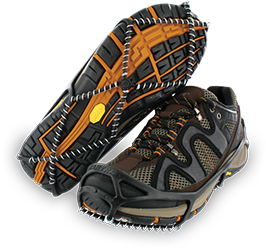 The microspikes are much more aggressive and better-suited for hiking up steeper pitches. I also have an off-brand of microspikes. 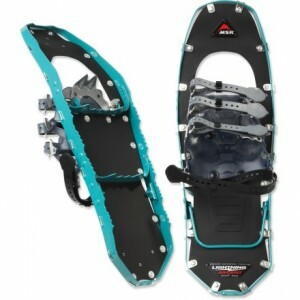 They were even cheaper than the Yaktrax. The metal is definitely inferior, but again, I think they'd be fine for lighter activities. 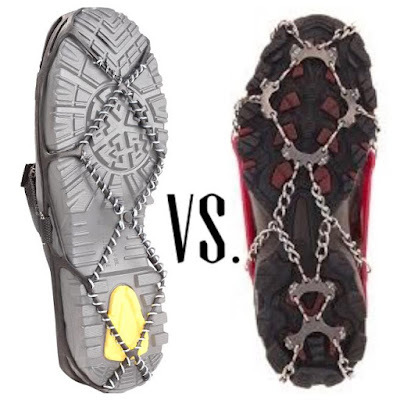 It looks like the Crampons have bigger spikes. Any thoughts on that? 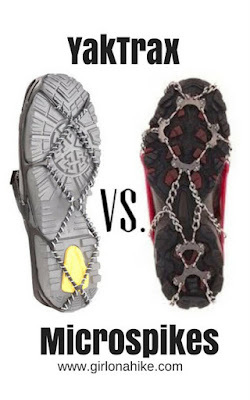 I've never owned any of these, so I have no idea about the pros/cons about having longer spikes - maybe they're not needed? Thanks! Just wanted to say thanks for the article. 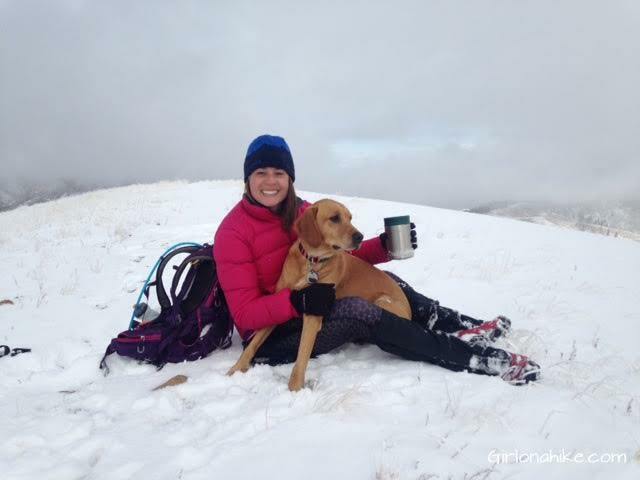 I was happy google turned up an article by you, because I know we hike the exact same terrain. I have owned an off-brand pair of yaktraks from TJ Maxx for the last 5 years and they have worked great for me on the trails---I've had not problems! 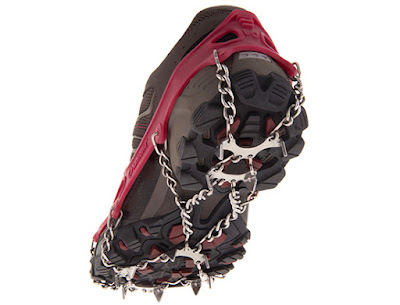 When something happens to that pair I will invest in a pair of microspikes. As with you, the price really holds me back on those. P.S. I love your site, it has been my go-to hiking site! Thanks for all the work you put into your guides! I had the Yaktrax for running in winter first; on really icy roads, they slipped all over-flat or hilly. When I discovered the Kahtoola microspikes, I was delighted. 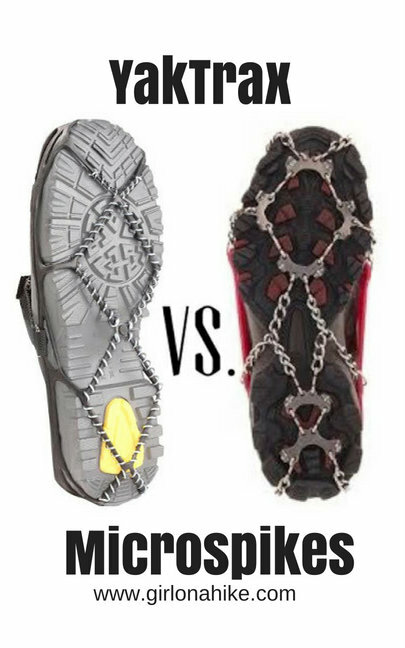 I used them anytime there is ice, walking, hiking, & running. I am in Nebraska, experiencing ice storms and Kahtoola all the way for walking to work on streets and sidewalks covered in ice.